FORMER Borno State Auditor-General Mallam Abba Kyari, who came to Lagos on Tuesday with Shehu of Borno, Alhaji Abubakar Ibn Umar Garba El-Kanemi, is dead. 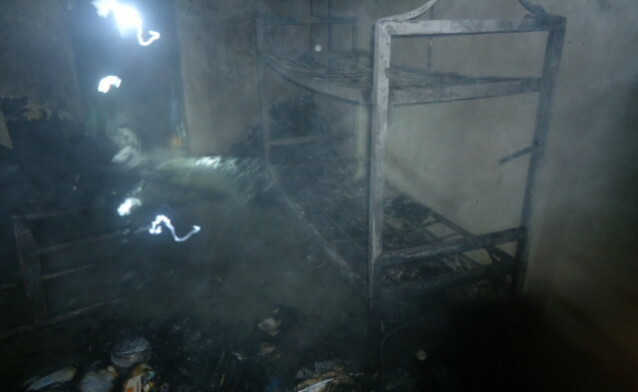 Kyari died in a fire which engulfed Room A12 of the guest house in which he lodged with others. He was in the entourage of the emir, who was installed as University of Lagos (UNILAG) Chancellor yesterday. Kyari’s body has been flown back home for burial. The fire, it was learnt, was caused by a lit cigarette. It reportedly started around 2am when those in the room were asleep. “The incident happened yesterday morning at the guest house. There is a rumour that the fire was ignited by a lit cigarette,” a source said. Confirming the incident, National Emergency Management Agency (NEMA) Zonal Coordinator Alhaji Suleiman Yakubu said the cause of the fire was yet to be ascertained. He said the fire affected rooms A12 to A15, adding that the rooms are on the third floor of the complex. “The building was fully occupied because of the convocation ceremony today (yesterday). We do not know the cause of the fire yet but emergency responders acted swiftly and we were able to contain the situation within 30 minutes. “Unfortunately, the brother of the Shehu died before help got to him. He suffocated,” he said.